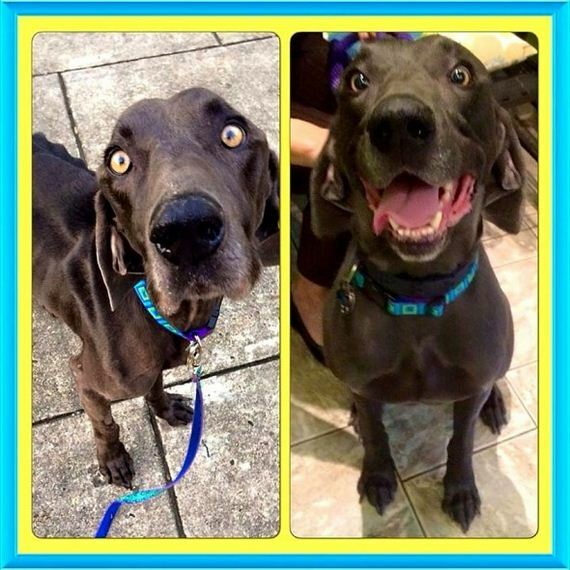 An emaciated Weimaraner named Alex who survived by eating twigs and rocks and was rescued in October has made a remarkable recovery. 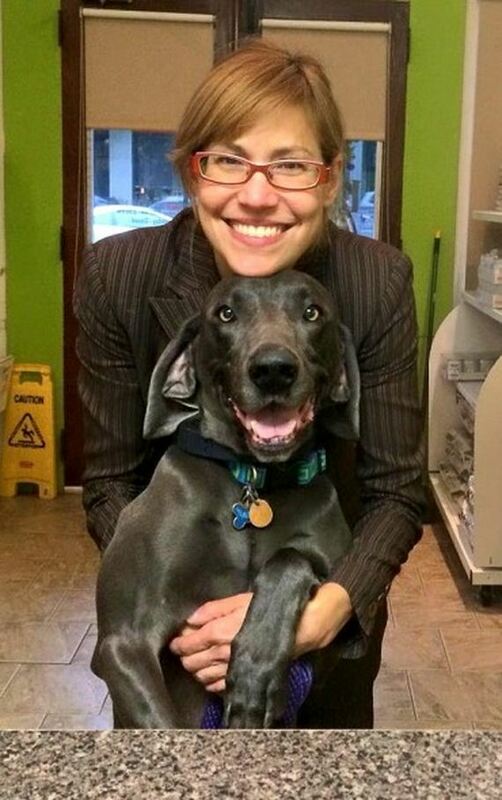 Even better, he has been officially adopted by his foster mom! “When I first met him, he was really thin that drew me to him and his eyes were so haunting and piercing,” Diane Lundeen explained to WVUE. Alex was found wandering the streets in New Orleans back in October. 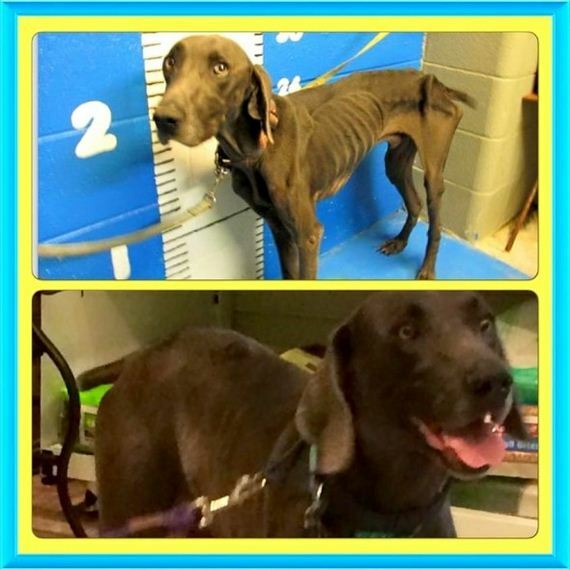 “We saw a terrified and emaciated dog that needed help and need help fast,” Deanna Theis, assistant director of the Southern Animal Foundation, told Fox 8. An X-ray revealed that the poor boy’s stomach was loaded with rocks and twigs. His stomach flipped almost immediately after being taken into care, requiring emergency surgery. 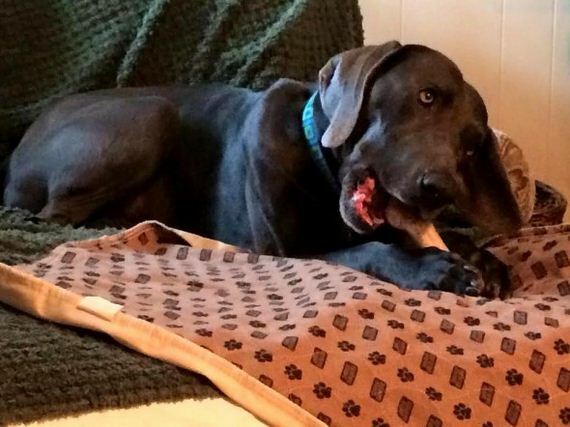 The 45-pound dog was in for a long-term recovery period. After some intensive care, he was fostered by Diane, mom to two other Weimies. “He gained 10 pounds in his first 10 days he was staying with me. That told me he was definitely a good match,” she said. “Alex update. He is doing great. I woke up with him in my bed with his head cradled gently on my chest. He loves his brother and sister. He is the peacekeeper in the family so if play gets too rough between the baby and Anya, he speaks up. The three went through all of the new squeaky toys I bought them, filling my living room with stuffing snow. 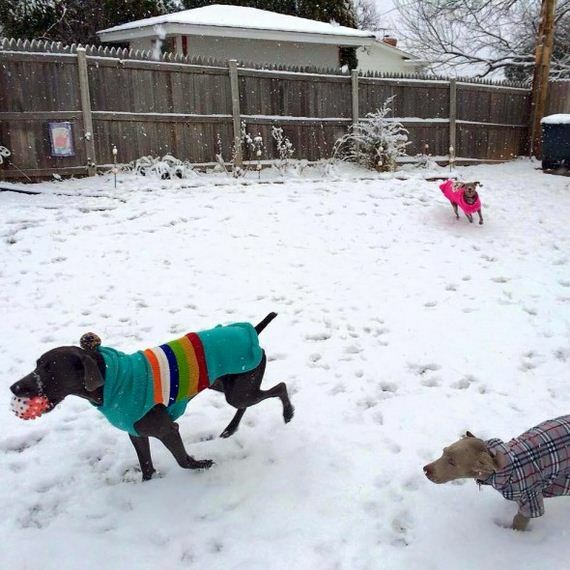 Alex and his siblings got to spend Christmas in Oklahoma City, romping around in the snow. 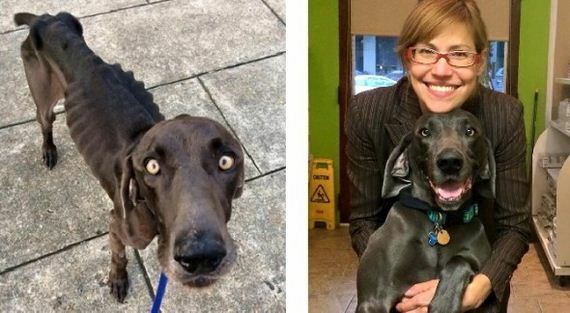 He’s now up to 80 pounds, and his health and happiness continue to improve.